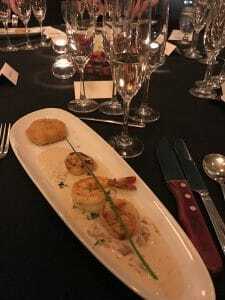 On Thursday, December 1st, 2016 I had a fabulous opportunity to attend the 9th Annual Champagne Gala held by Schwartz Brothers Restaurants at Daniel’s Broiler in Bellevue, Washington. 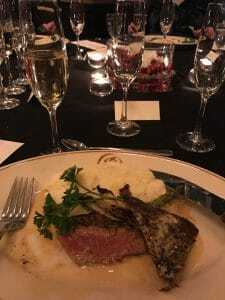 The event featured Champagnes from the portfolio of LVMH (Louis Vuitton Moët Hennessy) paired with a multi-course dinner prepared by Chef Kevin Rohr. The Champagne portfolio of LVMH is a literal “Who’s Who” of Champagne with names that are staples on restaurant wine lists and retailer shelves like Moët & Chandon, Veuve Clicquot, Dom Perignon, Ruinart and Krug. This event was a great chance to revisit several of these wines but what most excited me was geeking out over the food pairings. Overall, it was a marvelous evening with some pairings absolutely singing though some were painfully kind of “meh”. But even then, we still had Champagne. Below is a rundown of my thoughts from the tasting. This was one of the pairings that most intrigued me before the event. I’ve had the Ice Impérial before as a summertime cocktail by itself or paired with lightly sweet desserts such as shortcake with berries and cream but never with very savory appetizers. The Moët Ice Impérial labels itself as the first Champagne crafted to be served with ice but what always distinguished it for me was its noticeable sweetness due to the 45 grams per liter (g/l) dosage that puts it squarely in the Demi-Sec category of sweetness. To put this in context, the typical brut Champagne has anywhere from 0-12 g/l with the “sweet end” of brut being the equivalent to roughly 3 sugar cubes. The Ice Impérial has nearly 4 times that. But the pairing worked. Sort of. I’m a bit gun shy with oysters so I focused on the deviled eggs while a friend and coworker was my guinea pig for testing the oyster pairing. 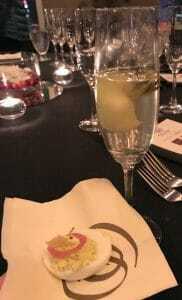 As you may see in the picture, instead of ice our Champagne was served with frozen pieces of fruit (cantaloupe or honeydew) with a rosemary skewer. While the rosemary was highly fragrant, and indeed too overpowering for some guests, it was also the bridge the pairing needed to work. Together the earthy floral elements of the rosemary played off the earthy and savory notes of the mayonnaise, caper and tarragon of the green goddess deviled eggs, letting the sweeter elements of the Champagne counter the saltier parts of the dish. For my friend, there was similar success with how the rosemary bridged the briny, earthier elements of the oyster with the Champagne. In the interest of science (purely), we requested a second glass of the Ice Impérial without the fruit and rosemary and tried each pairing again. Completely different. The sweetness of the Champagne was more overt and distracting, particularly with the more subtle flavors of the deviled eggs and oysters. The joy of surprise in how well the rosemary tied things together was replaced with the pain of something too sweet for the dish. Among “wine people”, Veuve (particularly the ubiquitous Yellow Label) often gets a bad rap due to its mass production (10 to 12 million bottles a year) and McDonaldization style of marketing (i.e. If people see it everywhere, it will be the first thing they think of when they think of Champagne). However, you can not argue with the brand’s smashing success, especially in the US where Veuve Clicquot easily sells more than 4 million bottles of those 10-12 million produced each year. You also can’t argue with the fact that it is a tasty bubbly that is incredibly easy to pair with food. The creamy mouthfeel of the mousse and subtle nuttiness played perfectly with the creamy mushroom bisque and risotto cake while the citrus fruits that dominate the Champagne’s profile were well suited for bringing out the mouthwatering flavors of the prawn and buttery delicious scallops. This pairing worked and I’m sure it was the best wine/food combo of the evening for a fair amount of the people in the room. Both my coworker and another guest at our table aptly summed up the essence of Veuve Clicquot Ponsardin Brut when they noted that “Veuve is always good, but never great.” and that “It’s always consistent which, when you don’t know what to bring to someone’s house, is comforting.” They’re both completely correct. Veuve is consistently good and while, sure, most “wine people” can easily rattle off dozens of other better Champagnes that you can get for the same $40-60 price (including 100% Grand Crus) for Veuve, we can also just as easily rattle off dozen of Champagnes (including other “popular brands”) that are no where near as consistent as Veuve. So unless you have a sommelier or retail wine steward to point you in the direction of those Champagnes that are more likely to reach for “greatness”, you will rarely go wrong grabbing that ole familiar bottle of Yellow Label. The brand ambassador for LVMH who joined us this evening succinctly described the house of Ruinart as the “best prestige house that most people haven’t heard of” and that is regretfully true. Founded in 1729, Ruinart is the oldest Champagne house still in operation and it seems like it has spent its nearly three centuries of excellence in a shadow of obscurity. Even sitting in the LVMH line up for this event with the likes of Krug, Veuve Clicquot and Moët & Chandon, I’m sure most people who looked at the pairing menu for the evening found their eyes glazing past the two bottles from a house named after the other 17th century Benedictine monk associated with Champagne. But I won’t mince words here, the wines of Ruinart are fantastic and while I have not yet had the opportunity to try the house prestige vintage cuvée, Dom Ruinart, I would legitimately rank Ruinart’s NV Blanc de Blancs on the same level as the prestige cuvées of Dom Perignon, Veuve Clicquot La Grande Dame, Mailly Les Échansons, Taittinger Comtes de Champagne, Perrier-Jouët Belle Epoque and Bollinger La Grande Année. Those are all tremendous Champagnes but, at around $70-80 a bottle, the Ruinart can easily send all of them packing. It starts with the bouquet of the Ruinart. 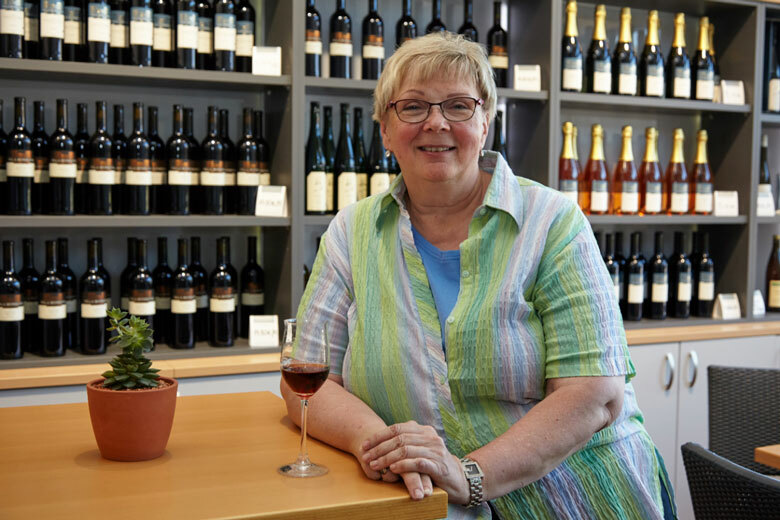 As soon as the waiter poured the wine in the glass, from a good 15 inches away, my nose was tickled by the gorgeous white flowers and fresh, ripe peach fragrance–like someone picked a peach right off the tree and sliced it in front of you. On the palate, the peach is still there but is joined by apple and honey with a subtle pastry dough aspect. While I sometimes find Blanc de Blancs to be overly linear and simple, the complexity of this bottle is off the charts with every sniff and every sip bringing up something difference. And the pairing, oh yes, there was food there too. Right. The lamb was phenomenal, melt in your mouth good and cooked perfectly. I love the steak at Daniel’s Broiler (and the next course certainly didn’t disappoint), but the lamb was the star of the evening. It will certainly give me a mountain of incentive on my next visit to bypass Daniel’s gorgeous steaks for whatever their lamb offering is. If you’re in the Seattle area, put this on your list of Must-Have meals. But, alas, the pairing didn’t work out as well. While charming and elegant, the Ruinart was too light for the lamb and the radicchio overwhelmed it. I found myself wishing that this wine was paired with either of the two appetizer courses because, for as interesting as the rosemary twist with the Ice Impérial was and as admirable as the Veuve served the seafood course, the Ruinart Blanc de Blancs would have taken both of those pairings to soaring heights that neither of those first two Champagnes could achieve. When I first laid eyes on the menu and saw this pairing, the words “pure hedonism” crossed my mind. Krug is a powerful, penetrating Champagne that is both savored and sparred with on the palate so seeing it paired with foie gras butter dressed around an elegant yet forcefully flavorful New York strip steak prepared in Daniel’s 1800° broiler seemed tailor-made for perfection. Krug is very unique in its intentionally oxidative winemaking style with fermentation in old 205 liter casks that impart lots of tawny-port style notes of hazelnuts and marzipan. While most non-vintage Champagnes are blends of around 3 to 5 vintages, Krug is always a blend of 10 or more vintage with some of the reserve wine being used coming from vintages that were harvested 20 years ago. 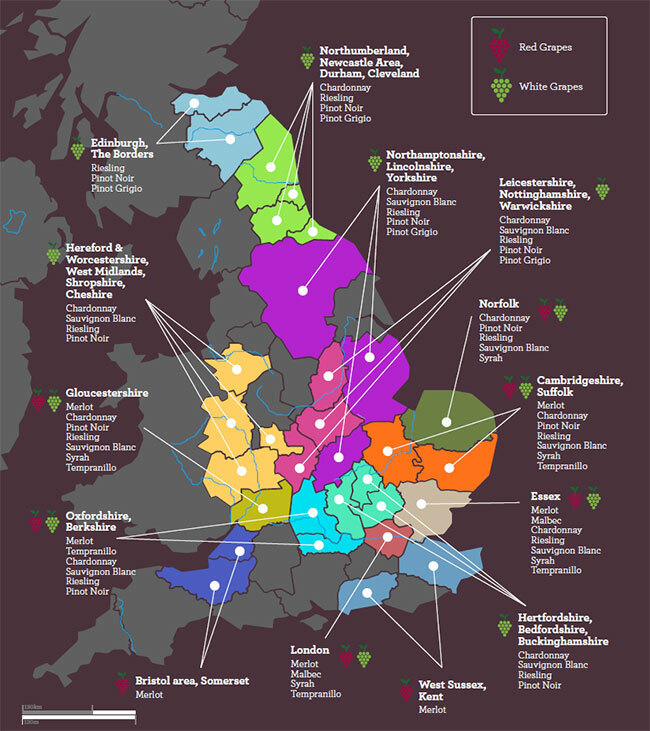 Every release is crafted from a palette of around 120 different wines in a process that is not that dissimilar to how the great wines of Bordeaux are made. Krug is a prestige cuvée in every sense of both the words “prestige” and “cuvée”. The pairing certain lived up the hype. Magnificent. The brawny, muscular nature of Krug with it brioche and ripe, rich fruit flavors held up to the weight and power of the steak. Somewhat surprisingly though, the part of the course that most sang with the wine was actually the earthy flavors of the smashed cauliflower. As a child I hated cauliflower but, as an adult, I think I will be enjoying it much more if I can keep pairing it good Champagne. I might not be able to afford to do that with Krug but I could probably swing a bottle of some of the “baby Krugs” of Bernard Bremont and Bollinger from time to time. In someways it seemed fitting that the two pairings that I was most skeptical/intrigued about where the bookends to the meal. 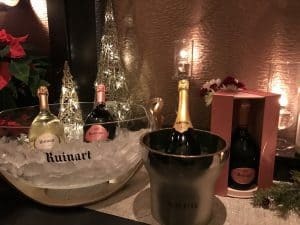 Whereas I was nervous that the Ice Impérial was too sweet for the appetizers, my concern with the Ruinart Rosé was that it was not going to be anywhere near sweet enough to hold up to the rich chocolate mousse. While I ended up pleasantly surprised with the M. Night Shyamalan-style rosemary twist that I didn’t see coming with the appetizer course, dessert ended up being much more The Happening than The Sixth Sense. The cake was lovely–gorgeously rich and decadent. Too rich and too decadent to come anywhere close to finishing. The wine was likewise spectacular, with beautiful floral, cherry and blood orange aromas. Not as intensely aromatic as the Blanc de Blancs but still heralding its presence in the glass before the wine even comes close to your nose. The nice creamy mouthfeel gives it weight and presence. Though not quite as weighty as Tsarine or Veuve Clicquot roses, I think the Ruinart’s elegance more than supplements it weight. Apart, the two items were fantastic but together this pairing was nearly as painful as watching Mark Wahlberg trying to emote sincerity when he ask the plants to kindly not kill him. 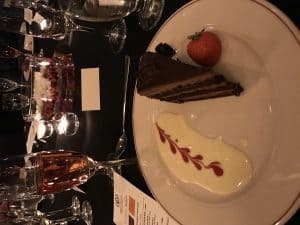 The imbalance in sweetness and weight was just too much and I would have been more intrigued with how something like the Moët Ice Impérial Rosé could have went with the cake, especially with the regular Ice Impérial used as a base for the crème anglaise. But then that would have meant sacrificing another chance to enjoy the Ruinart Rosé. So I’ll gladly take the trade off of having my cake and (separately) Champagne too. As I mentioned in the intro, the overall event was marvelous and an evening I would gladly live over many times over. 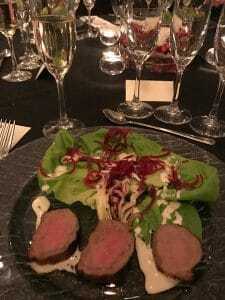 Yes, there were pairings that fell flat but that was according to my taste and my palate and it certainly didn’t preclude the rest of my party (and I’m sure the rest of the room) from enjoying every delicious dish and drop of Champagne. In fact, you can say that it is the beauty of Champagne itself that almost guaranteed the success of the evening because even when Champagne is “bad”, it is still very, very good. As the evening was wrapping up, Jeremy Paget the Director of National Accounts On Premise for Southern Wine and Spirits in the Seattle area, which distributes the LVMH portfolio in this market, offered an Irish toast that summed up the evening quite well. May all your joys be pure joys, and all your pain be Champagne. Tagged Daniel's Broiler, Krug, LVMH, M. Night Shyamalan, Mark Walhberg, Moët & Chandon, Ruinart, The Happening, The Sixth Sense, Veuve Clicquot.